Home » News » Why Is New Zealand Releasing a Rabbit-Killing Virus? Why Is New Zealand Releasing a Rabbit-Killing Virus? Wild rabbits are considered pests in New Zealand, and they reportedly cause substantial damage to pastoral land. The country has now decided to release a virus to cull rabbits, but environmentalists warn that this is a serious mistake. In late February, officials agreed to release the virus — known as rabbit hemorrhagic virus disease, or RHDV1-K5. This development encouraged many New Zealand farmers, who maintain that other culling methods have failed to control the rabbit population. According to the Ministry for Primary Industries (MPI),rabbits cost an average of $50m New Zealand dollars (U$36m; £18.7m) in lost production and more than NZ$25m in pest control each year. New Zealand’s Federated Farmers (FF) said the move was a “huge relief”. “There are some desperate farmers out there,” the spokesman Andrew Simpson told the BBC. 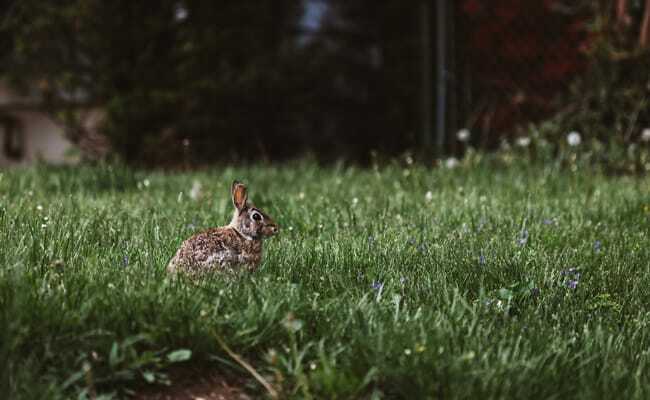 The objective of the virus release, which comes after Environment Canterbury petitioned for its use, is to reduce the national rabbit population by about 40 percent through controlled release at select sites in March and April. The government claims that these efforts would bring the rabbit population down to a more manageable level, reducing the burden on pastoral land. Since rabbits were introduced in New Zealand in the 1830s, they have reproduced rapidly. And because rabbits are not native to the area, there aren’t many native predators to control their numbers.Wild rabbits compete for food on grazing land and wreak havoc on farmland. It’s widely agreed that something must be done to address the rabbit problem, but many contend that the K5 strain is not the answer. Environmental and animal welfare groups point out that the virus is a deeply painful way for a rabbit to die. It causes fever, spasms, blood clots and, after prolonged distress, respiratory failure. It does not affect other animals, so at the moment there is little chance of it spreading to other wildlife. However, environmental groups point out that the K5 strain is relatively new to New Zealand.Wildlife advocates are concerned that there isn’t adequate research about the long-term impacts of the virus. Furthermore, they point out that, because the virus can be transmitted by insects, domestic rabbits are at risk. Supporters of the virus release challenge this argument with the fact that a vaccine can safeguard domestic rabbits. Even so, the Society for the Prevention of Cruelty to Animals notes that the government has not done large-scale field testing on the vaccine’s efficacy against the virus when the K5 strain is released in such a broad way. While there’s limited evidence from Australia, where the virus was also released to cull rabbits, some wildlife advocacy groups have argued that this doesn’t provide the rigorous analysis that’s needed. What’s more, the sheer scale of suffering that both wild and domesticated rabbits will experience as a result of this virus shouldn’t be overlooked. “Rabbits may have fever, loss of appetite, lethargy, fatigue, convulsions, signs of suffocation, opisthotonus– a condition in which the body is held in an abnormal posture with the body rigid, the head thrown backward, and a severely arched back, sudden crying, hemorrhaging, and uncoordinated movements or paddling of the limbs,” said SPCA chief scientific officer Dr. ArnjaDale. While these symptoms are very noticeable, some rabbits who don’t show any outward signs of infection may still die within a few days. And that poses a major risk for domestic rabbits, in particular. There’s also concern that rabbit owners have not been given enough time to prepare. The vaccination for the K5 virus is readily available, but it takes around 21 days to be effective. That’s an incredibly tight window, and some detractors of this decision maintain that insufficient information has been provided to domestic rabbit keepers. There are thousands of rabbit owners up in arms and really, really worried about this … The pet rabbit population deserves the same care and protections from government and the animal welfare rights [groups] as pet cats and dogs … There are many other means of controlling wild rabbits that do not threaten pet rabbits or treat pet rabbits as collateral damage. While it’s clear that, in terms of biodiversity, rabbit numbers should be reduced throughout New Zealand, the release of the K5 strain is, at best, an extreme measure — and, at worst,it’s a potentially reckless intervention. Given this reality, wildlife advocates have vowed to continue their fight to oppose the release of RHDV1-K5 in New Zealand. This article was first published by Care2.com on 04 Mar 2018.